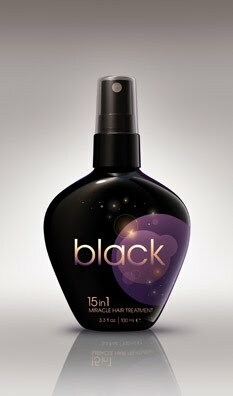 I started hearing a buzz about Black 15 Hair Treatment a few months ago. It's a new product which is supposed to do pretty much every amazing thing there is to be done to your hair - smooth, moisturize, add shine, eliminate frizz, seal split ends...just to name a few! The treatment is a very lightweight, non-greasy liquid spay that is fairly concentrated. I used a few pumps in several sections of the hair, and then worked through damp hair before blow drying. I did find that my blow out was very shiny, with no heaviness or oily feel. My hair was soft and I also loved the fragrance! For those that go on the flat iron, you can add a bit more to ends to seal them and keep them frizz free. This instantly adds moisture and gives hair a bit of "slip" to ease combing out and not breaking/damaging hair. This product was provided courtesy of Black 15 PR for reviewing purposes. I want to know if is this applicable for men too? I couldn't find any hair loss treatment guides or "how to use this product". can you provide for me.. If I use this product, what are the effects aside from regrowth? Is this also a blackening shampoo? How long to get cured with my hair thinning problem? One of the causes of hair loss is stress. Once you get this condition, the dht in your body will increase. You need to eat more foods rich in proteins. Aside from that, you need more iron and vitamins to prevent hair thinning and balding. anah!